This twice-fried slab of pork belly is truly heaven on earth. 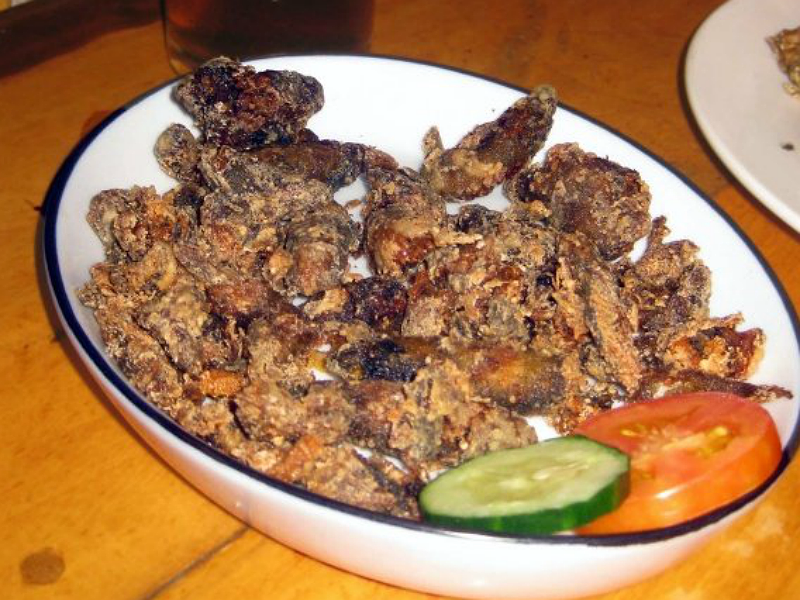 This is Ilocos' take on the lechon kawali but made even crispier and more delicious. Truly mouth-watering especially when paired with a side of tomatoes, onions and garlic medley. We got in trouble when we tried to "smuggle" several kilos of bagnet in our hand-carry baggage. In the end, we were forced to send the stuff via door-to-door. Looking back, all the trouble was well worth it. 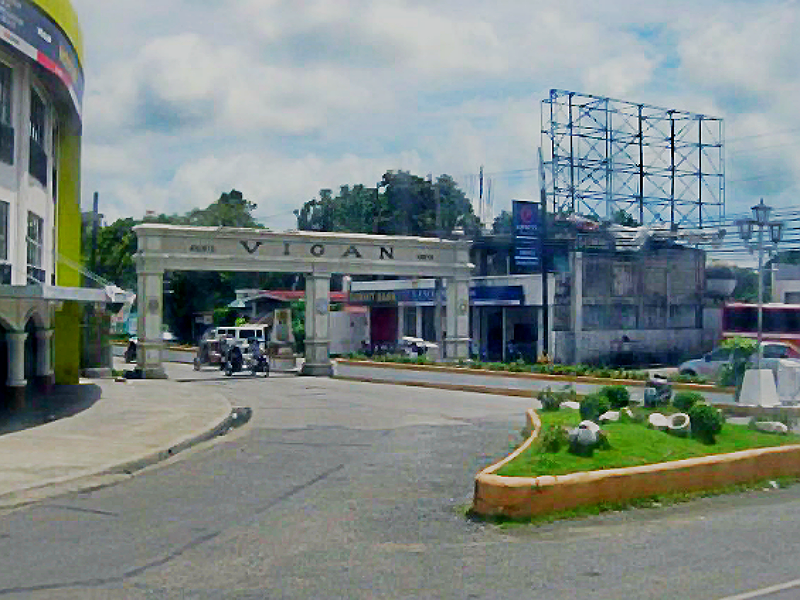 (Photo Credit: Rappler.com) Vigan's longganisa is made smaller compared to other longganisas. 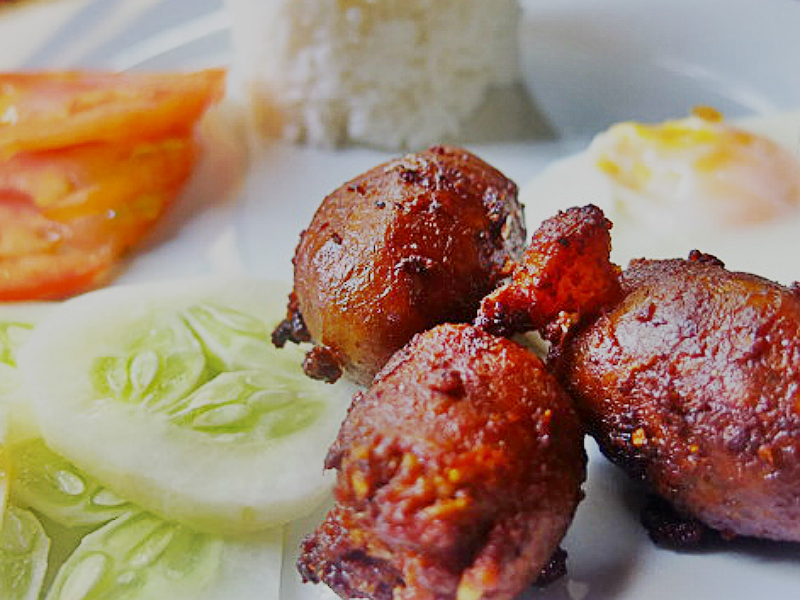 This staple breakfast fare will make your mouth water with its spicy sweet combination. I love the spiciness of this and since it's smaller, it cooks crispier. Bunog are small, scaleless freshwater fish (thanks Google!) otherwise known as "talimusak." We asked the waiter how they cooked this fish and they said they first boiled (blanched would be a more fitting term) the fish and them deep fried it to make them more crispy. I guess everything deep-fried really tastes delicious because this one is "fried fish" on steroids. 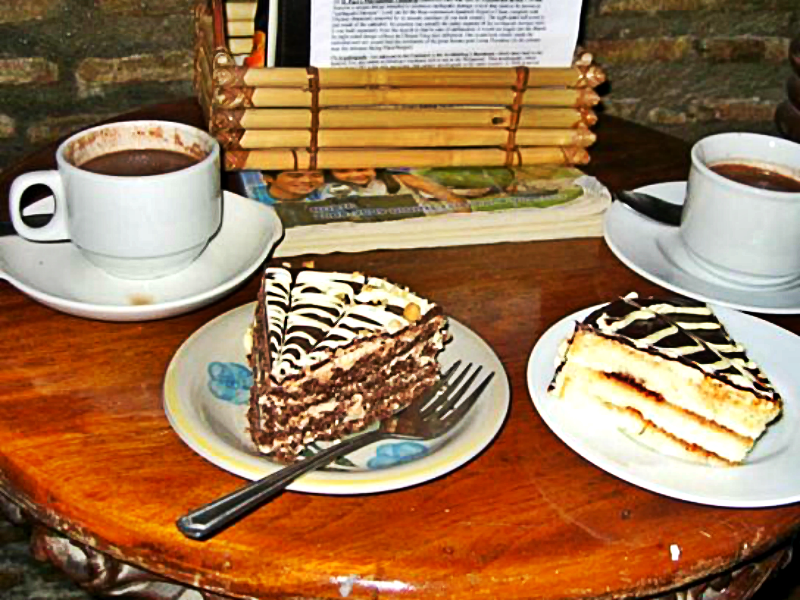 Every travel blog I encountered suggested to try these two Vigan snack staples. Personally, I preferred the Okoy over the Empanada but both are great snacks to quiet those hunger pangs after an afternoon stroll in Calle Crisologo. 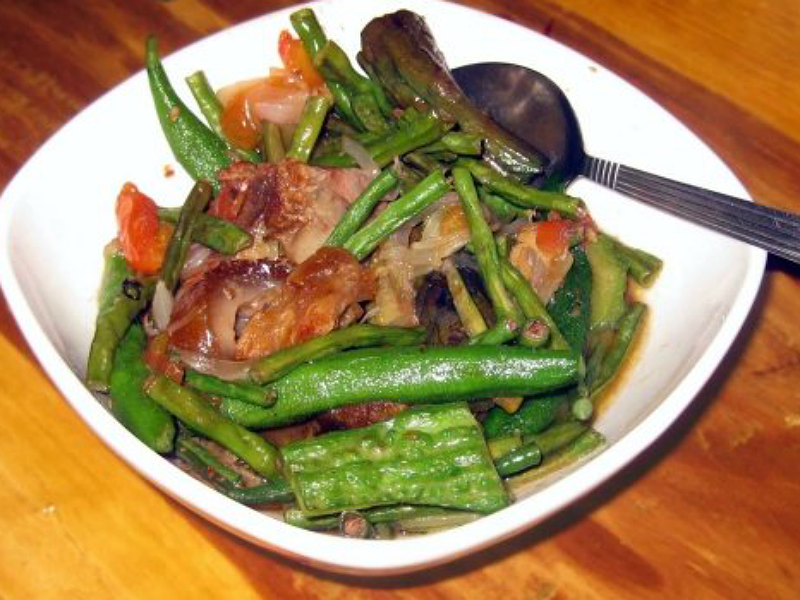 A medley of crunchy vegetables plus those yummy bagnet makes this Pinakbet from Cafe Leona extra special. 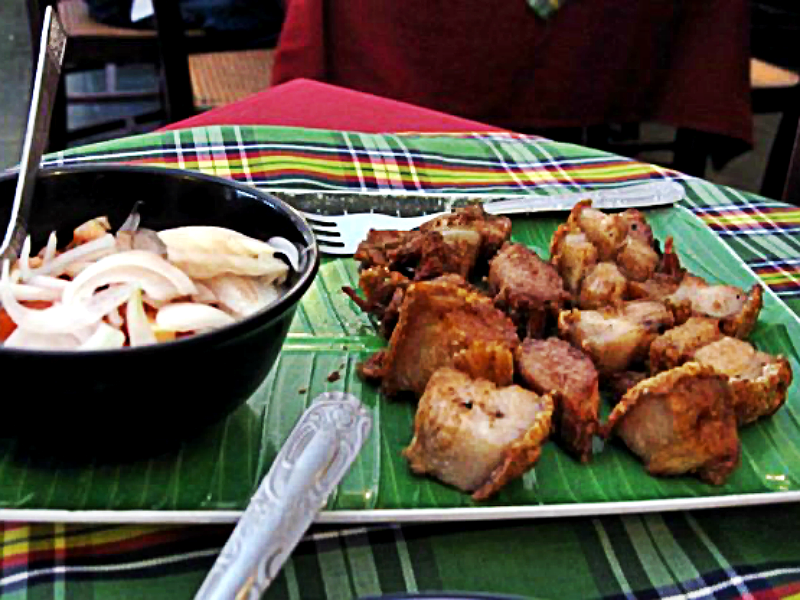 All those green would definitely make you can feel better despite the bagnet. The quaint colonial Grandpa's Inn serves a variety of desserts for those looking to satisfy their sweet tooth. We ordered room service and enjoyed their yummy cakes and native hot chocolate inside our room. Talk about being lazy! Our only excuse was that we were tired from waking all day. 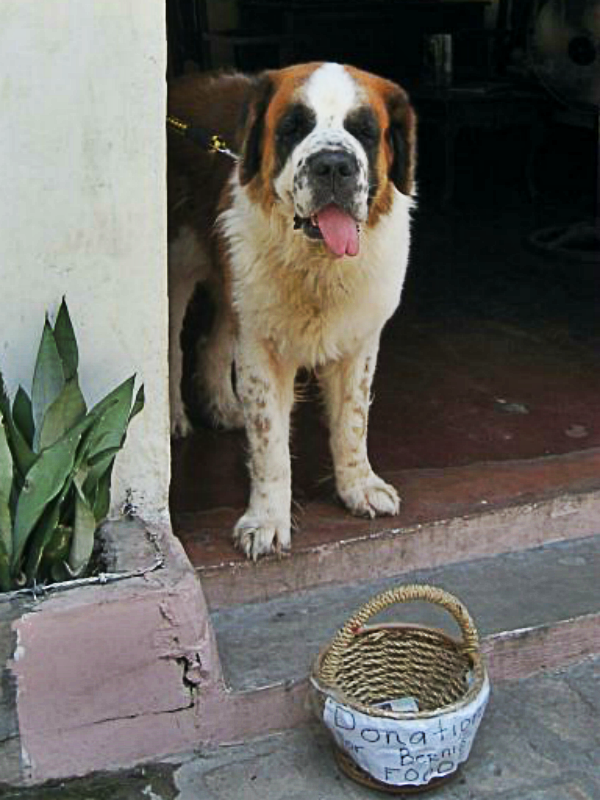 This adorable St. Bernard has been the unofficial mascot of Vigan. Those walking along Calle Crisologo can see Bernie with his weaved basket asking for donations for his food. We kept coming back to his spot just to pet him. Hahaha. Sadly, When we went back in 2010, Bernie was MIA. We asked around and we were informed that he has been "reassigned" somewhere else. *Photos are my own, unless otherwise stated. Please ask author for permission before copying.